Adelaide Oval is situated right in the heart of the city, framed by the River Torrens and surrounding precinct. 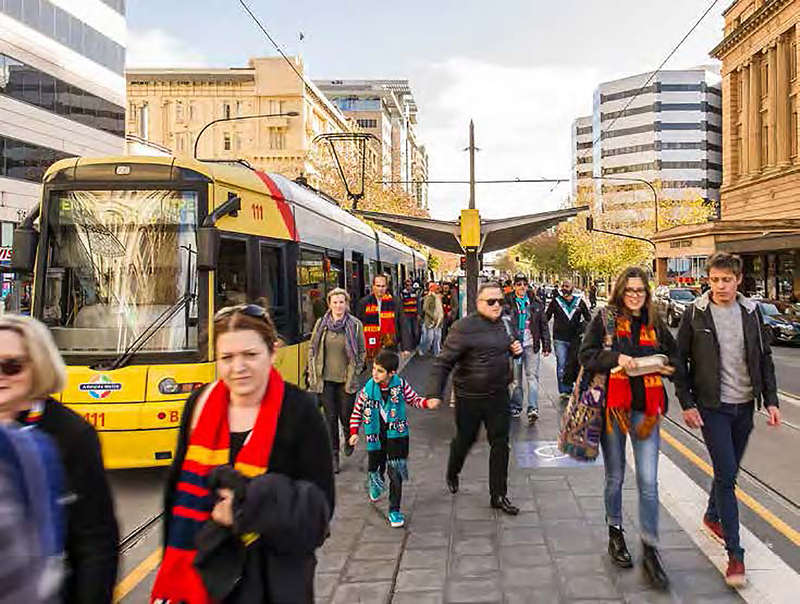 Whether you’re travelling by car, bus, train or tram, Adelaide Oval’s close proximity to the CBD makes it easily accessible. 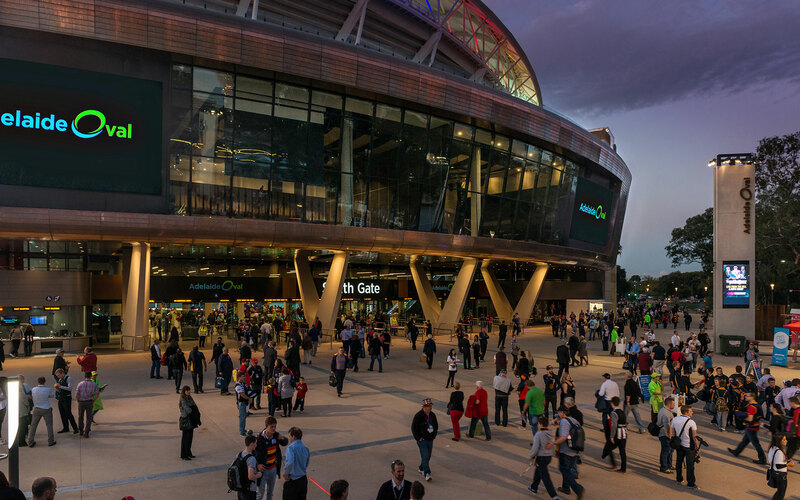 Patrons are strongly encouraged to take advantage of public transport when attending events at Adelaide Oval. The Oval is accessible by train, tram and bus services. Public transport timetables and routes vary between events. Please visit the Adelaide Metro website for the latest information relating to different events. Car parking options on event days vary. Please refer to the What’s On page for parking information relating to each event. 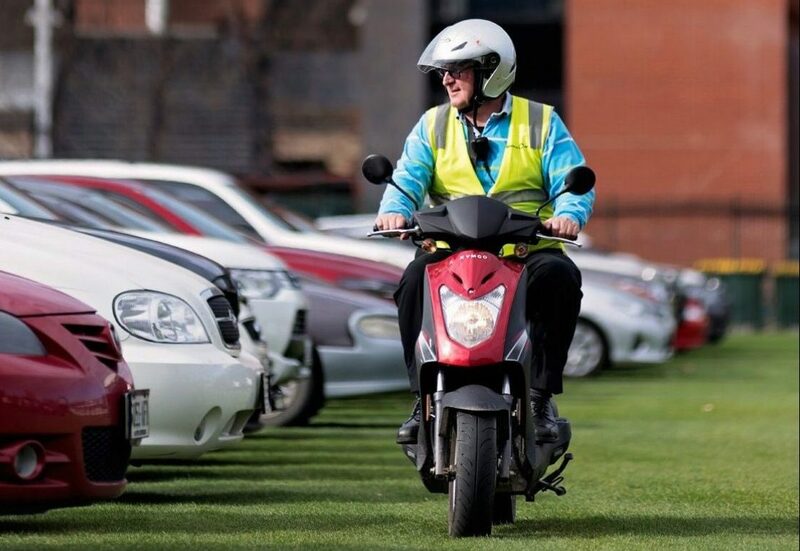 If you wish to apply for an Adelaide Oval Access Car Parking Pass for the 2019 AFL Season please complete the online form. War Memorial Drive, out the front of Next Gen Health Clubs and Tennis SA, adjacent to Pinky Flat. This drop off zone must be accessed from the western side via Montefiore Road or Morphett Street Bridge (disability permit holders only). Adelaide Oval operates two car parks on non-event days. These car parks are open to all visitors including guests attending functions at Adelaide Oval.